New LP, 'SCARY WORLD,' Due Out August 24! 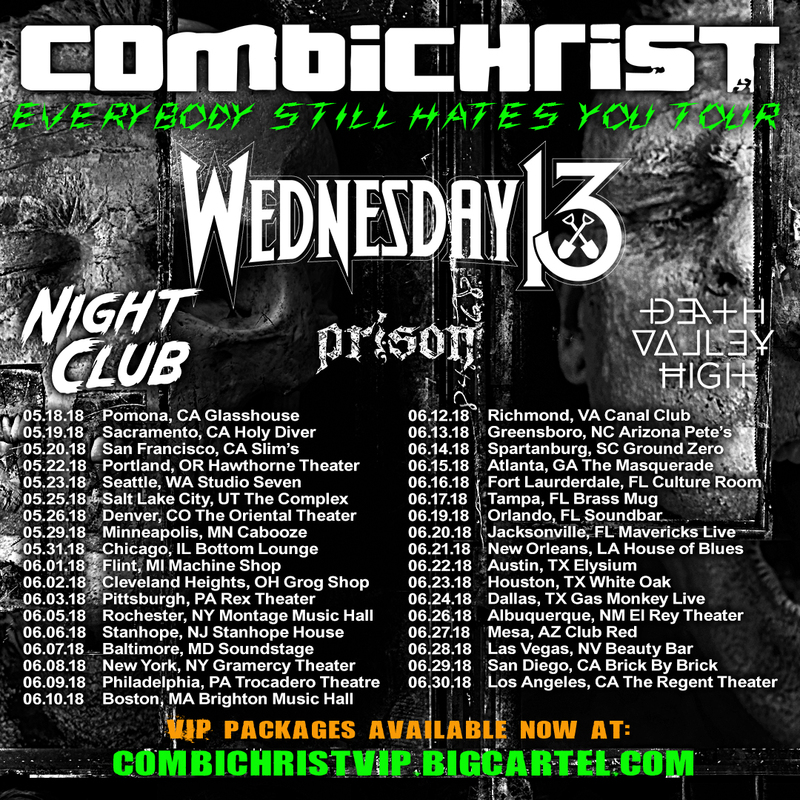 Having effectively stayed under the radar despite a run with Industrial Metal legends LORDS OF ACID, LA based electronic duo NIGHT CLUB are set to explode onto the scene as they join COMBICHRIST and WEDNESDAY 13 on thr May 18th launching EVERYBODY STILL HATES YOU Tour. The tour kicks off at The Glasshouse in Pomona, CA and will wind throughout North America before heading across the pond for several UK and European dates. Check out the pair’s video for “Dear Enemy” below to get a taste of what Night Club’s bringing to what’s one of the best Goth shows of Summer 2018! They scored the Comedy Central series “Moonbeam City” as well as the film “Nerdland” starring Paul Rudd & Patton Oswalt.